Proof coins are specially made examples of regular issue coins historically used as gifts or for presentation. 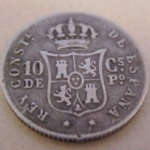 Though many countries have made proof or specimen coins, the kind of coins that we think of as proofs didn’t come into being until the middle of the 19th century. That’s when collectors began to be interested in high quality examples of the Coiner’s art. Proofs of the modern era are made on specially prepared and polished blanks and are struck at least twice by carefully selected dies under slow, heavy pressure. The coins are handled carefully one at time so that no nicks or scratches mar the surface. The resulting coin has a high wire like edge, very sharp details and usually a mirror surface. 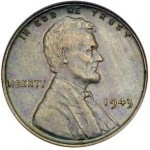 Style has dictated the “look” of proof coins over the years. 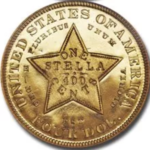 Middle to late 19th century United States proof coins were brilliant. From 1908 to 1916 proofs took on a dull or matte finish, the “British” look, by sandblasting the coins in the final manufacturing step. Periodically, frosted proofs have been made. These had the design elements dull or frosted with brilliant contrasting mirror fields. Modern proof sets are mostly brilliant. Except for some presentation issues no proof sets were issued between the years 1916 and 1935. The “Modern” era in proof sets began in 1936 and was suspended after 1942 because of World War II. These early modern era proof sets are worth over $5,000 for the 1936 set to about $1000 for the 1942 set. In 1950 proof coin sets were again made and they have been made every year since then. The values of these sets fall sharply from the 1950 set, worth around $500, to the more recent sets worth from about $5 to $30. 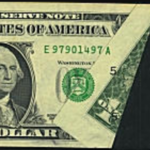 There are also error proof sets such as the missing “S” mint mark on the dimes in the sets of 1968, 1970, 1975 and 1983. These are worth from about $800 for the no “s” 1983 set, $1000 for the 1970 set, $11,000 for the 1968 set, and the rare 1975 “s” less set, over $35,000. 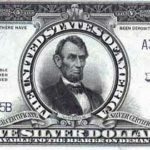 There are also the 1971-S error sets that are missing the mintmark on the nickel, worth about $1000 and the 1990-S set missing the mintmark on the cent, worth about $5000.